Today we are taking a look at a great slipper tutorial. Stay tuned to this article and you are going to learn to make yourself a great striped slippers. 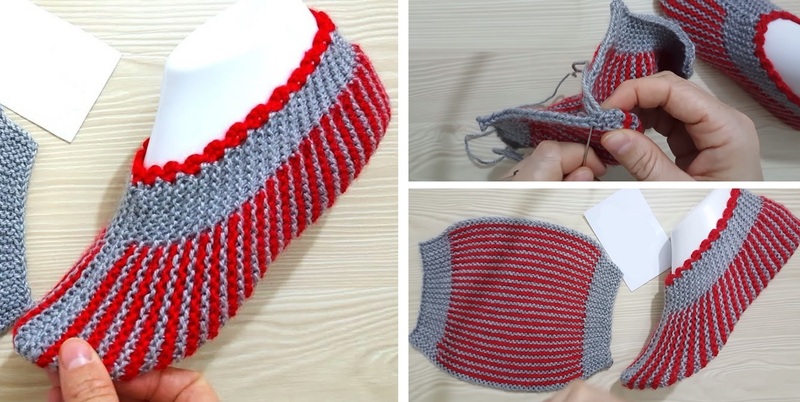 The tutorial is predominantly knitting one, however we believe that there is a clear connection between different yarn techniques and crocheters are going to benefit from this knowledge as well. The tutorial is not delivered in English and we are truly sorry because of this fact. We hope that even though English is the primarily language of the 90% of design-peak.com viewers, you are still going to find these instructions applicable.